Is growth hacking future of marketing? 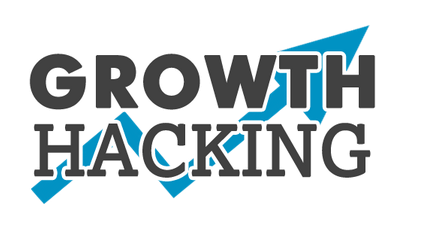 Home / Growth Hacking / Is growth hacking future of marketing? Sir David Brailsford coach of cycling team, British Team Sky, had a difficult challenge ahead of the Olympic Games in the year 2012. He had to coach the team that hadn’t won a single major cycling tournament since 1966. Brailsford didn’t feel discouraged and went on finding everything that could help in riding a bike and then he went on improving every single thing that is in anyway related to cycling. He improved ergonomics of bike seat and also weight of the tires. Other things improved on his advice were nutrition, massage gel and the pillows that cyclists slept on. Everything was improved on the advice of the coach but it was only by 1%. By aggregating all the improvements, Brailsford did a remarkable job. In 2012, the team accumulated 70% of the gold medals in cycling in the Olympic Game. It won the prestigious Tour de France and two other tournaments. Brailsford became a growth-hacker. His experiment proved that performance can be improved by making small human-centered changes in the process. He proved that even small improvements can help in getting big achievements in cycling. Airbub, Uber, Instagram, Spofity, Warby Parker and WhatsApp also followed the growth-hacking formula. What they did is they discovered the channels that are yet untapped and improved their features to tap those channels. Their strategy was to stay close to their customers and continuously improve their services through a rigorous analytical approach. Growth-hacking got them top-dollar price for their efforts and they also made a huge customer base. The rate at which these brands acquired the market, retained position and monetized their efforts is certainly astonishing. But what is more surprising is that their efforts have nothing to do with traditional marketing. All the credit for their growth goes to growth-hacking formula. Growth-hacking is now a strategy of customer acquisition and retention and it follows a midway path between product development and marketing. The process is to take advantage of social dynamics and network effects marrying marketing with product. The term was coined by Sean Ellis in 2010. Twitter’s “Suggested Users List” is a good example of growth-hacking. This feature made service quite easy and increased user base. Similarly Dropbox introduced “I get something if you get something” to offer free storage space for users who like sharing the service with friends. It is a prerequisite for free storage. Mailbox went a step ahead by putting a condition of super-slick interface. Users can see how many people are ahead of them on the waitlist of Mailbox. These cases are examples of good user acquisition, retention and referrals due to the get-go feature that was included in the product experience. By simply choosing a service, users spread the word about that service in their social network and new customers made through referrals and mentions. It is a “use-awareness-use” loop and it works like a self-starter without requiring a strategy or budget. The most important thing in growth-hacking is network effect and to create a network effect, you need more users on board. Brands have a strategy called “piggybacked” for attracting more users. It is relying on pre-existing networks to create new. The networks were created on the user base and interactions already happening in those networks. Airbub took advantage of Craiglist that it piggybacked for its initial growth. Similarly PayPal piggybacked on eBay to take advantage of the flourishing world of online transactions of the ecommerce platform. There are more examples that show how brands piggybacked for growth. Instagram and Spotify piggybacked on Facebook for its massive social dynamics and resources. And also Snapchat and WhatsApp piggybacked on phonebook contacts of phone users to grow their customer base. Piggybacking helped these brands in building networks from other resources instead of starting from scratch. Another advantage of piggybacking is that the brands accrued huge returns on their existing investments by saving money on marketing and distribution. In conventional marketing, spending on sub-par products is compensated by spending on distribution. But spending a huge sum on distribution isn’t a guarantee of success, if the product isn’t acceptable to the targeted market. No matter how massive the launch is, it won’t create a scalable, repeatable and sustainable way to grow, if the product isn’t good. Lesson to be learnt from traditional marketing is that the product must be as good as the promotion. Or it is the product that matters more than marketing. And the message comes from the brands that have neither budget nor knowledge of marketing. Brands like Instagram and Airbub focused their efforts on creating products and services that not only have good distribution system but they also have features that make the products and services must have for customers. It is “product plus distribution equals modern marketing” approach catapulted brands like Airbub to the height of popularity that only Hilton enjoys. Now these brands need to start hacking their own growth. It is necessary as it is the only way to stretch the shrinking marketing budget for introducing and expanding service network. 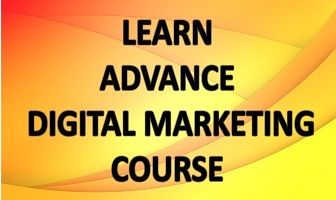 Some brands display exemplary marketing skills using latest technology. They built their networks using resources of the existing networks. The process is called growth-hacking and it works for every business, product and service. Its advantage is that it needs little investment and efforts and it gives excellent returns. The growth-hacking formula has shown brands a new way to build relationships and clients.